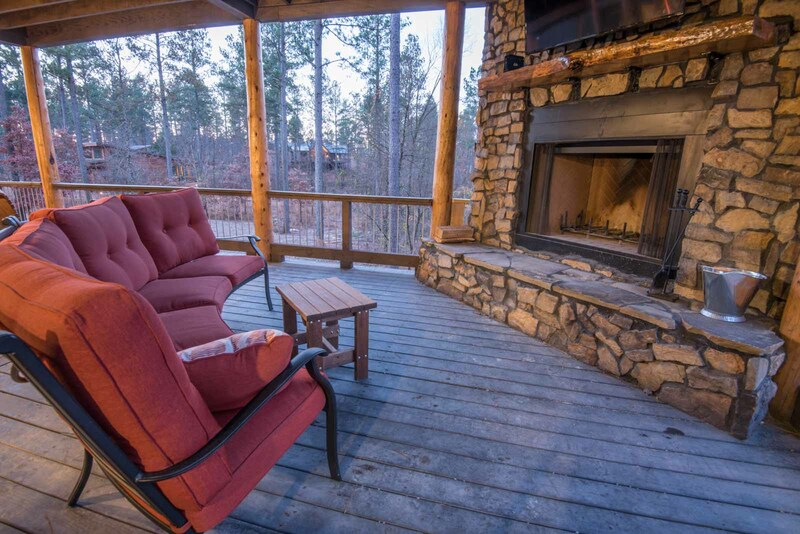 Sleeps 20 – Deck-A-Saurus….”Our deck is bigger than yours!”……Deck-A-Saurus is just what you need to let the everyday fall away! 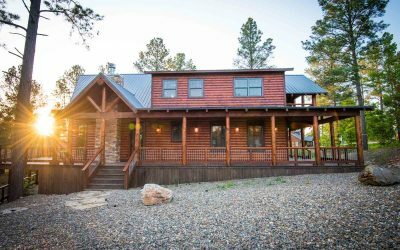 It offers indulgent outdoor space for entertaining with two wrap around porches, a covered hot tub, a chef’s dream outdoor kitchen with bar top, two outdoor fireplaces with large flat screen TV’s mounted above each, offering the perfect space to kick back, relax, and enjoy a frosty beverage with friends and family. 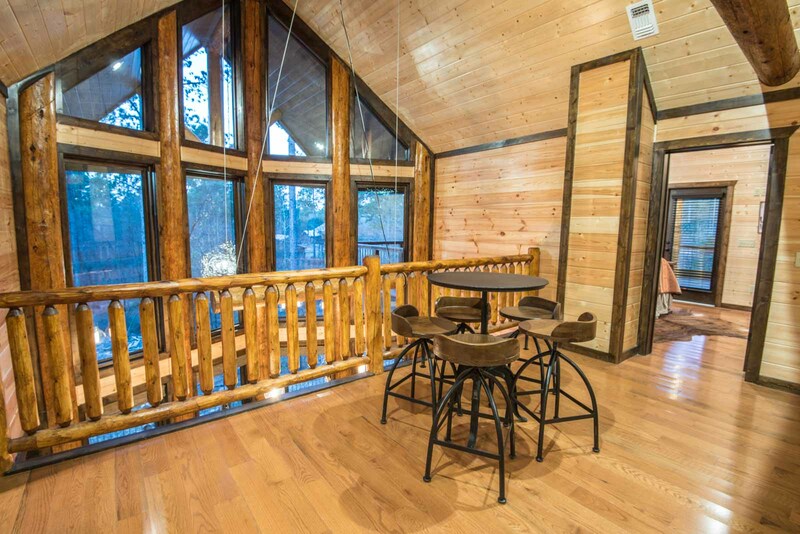 Breathing Space has high windows that invite the outdoors inside, echoing the unique use of natural materials and detailing. 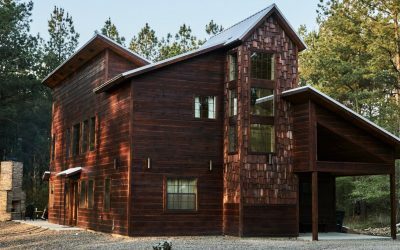 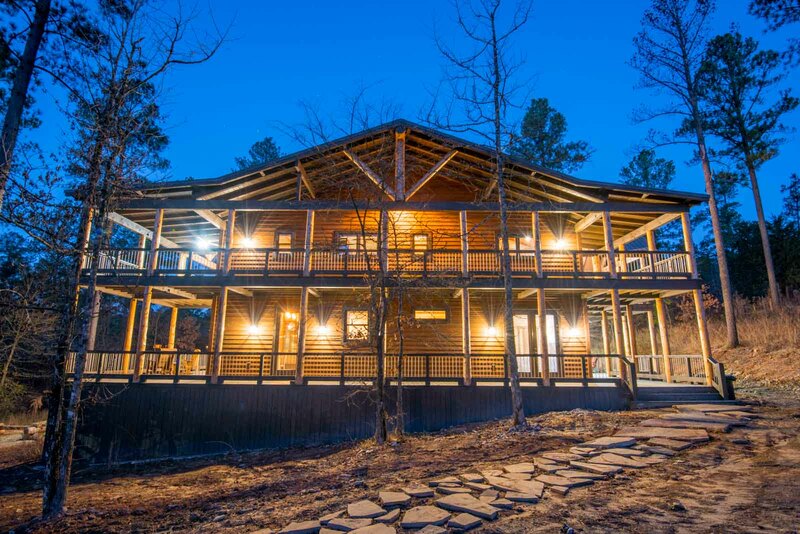 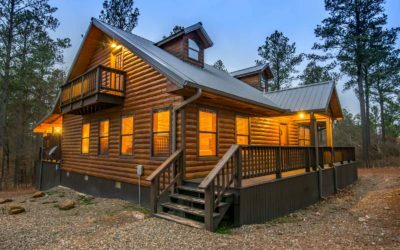 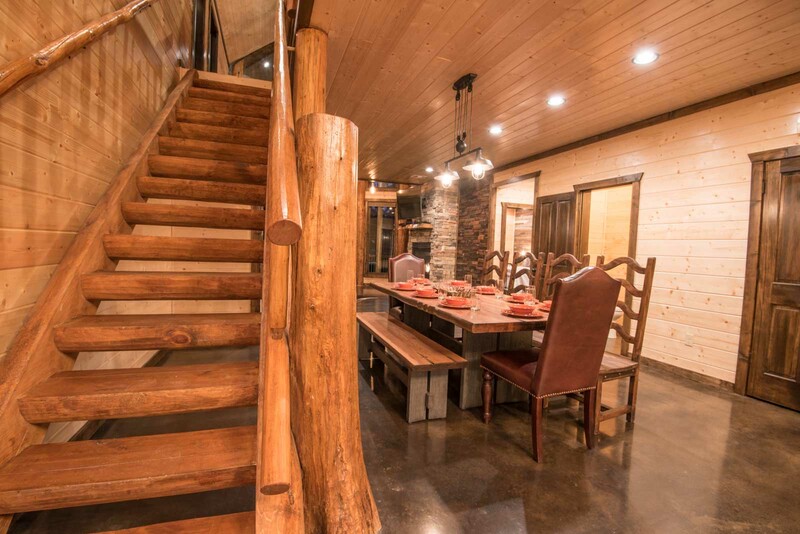 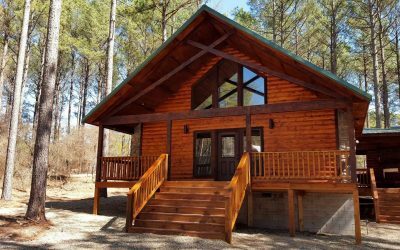 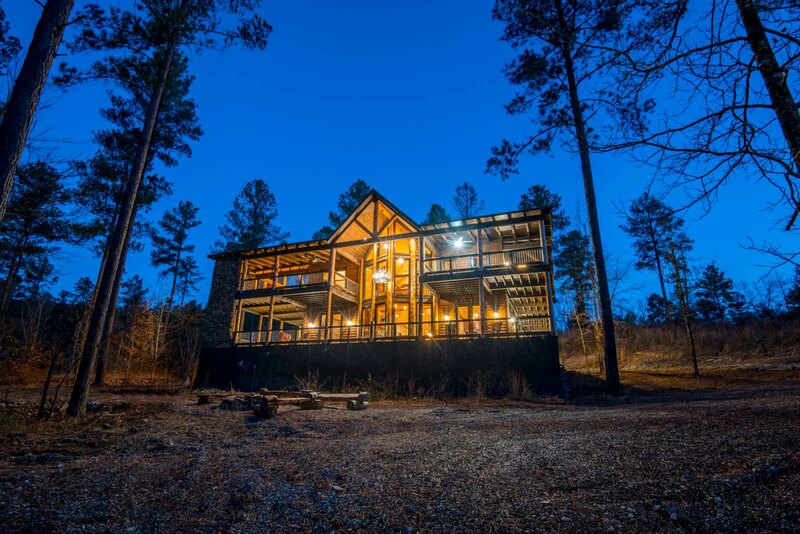 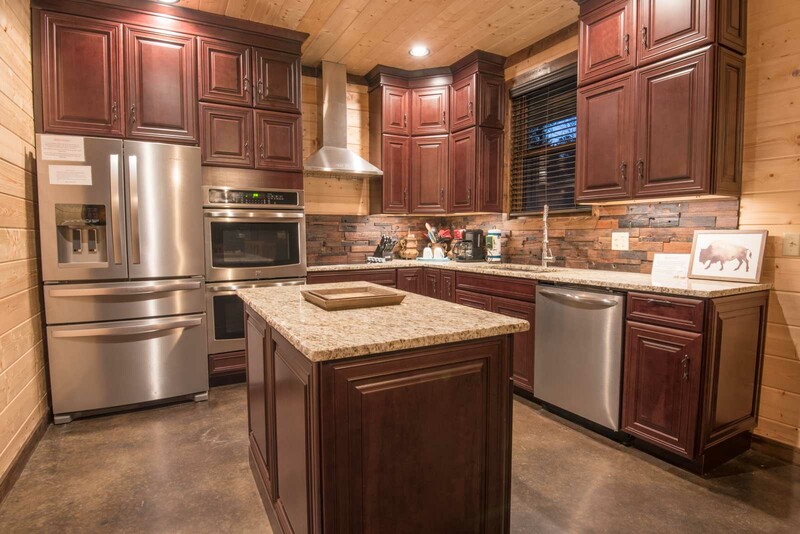 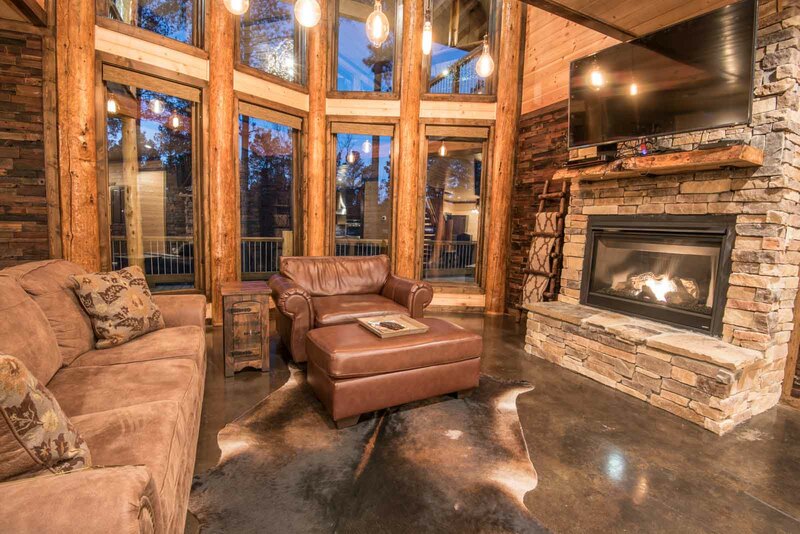 It is a 6 bedroom cabin with additional study, 4 full baths & 2 half baths. 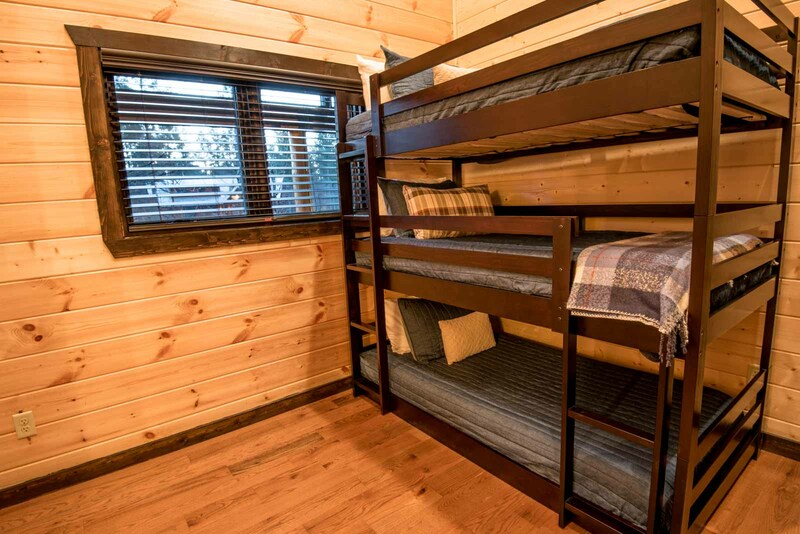 It sleeps 19 with the provision of 4 king beds, 1 queen, 1 triple bunk bed, 3 pullouts and 1 futon. 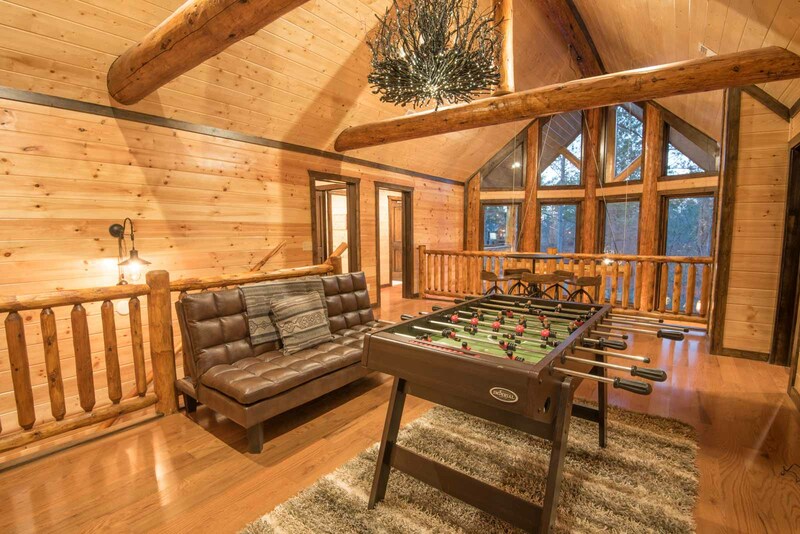 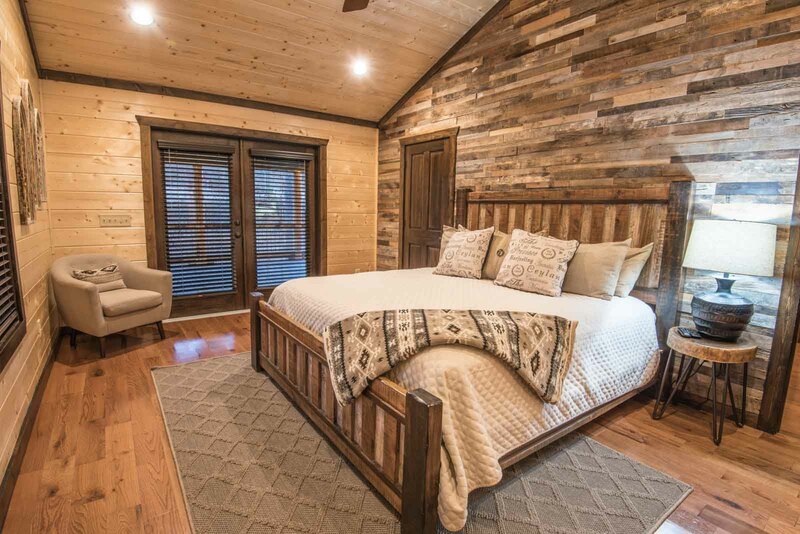 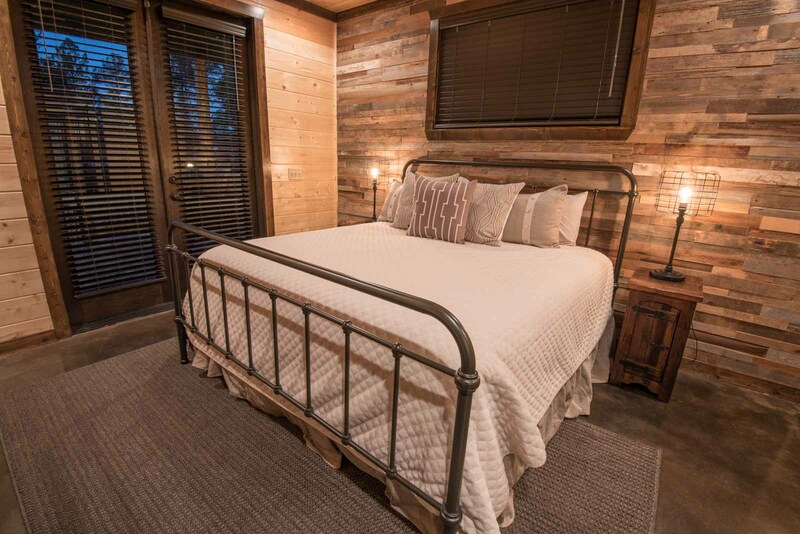 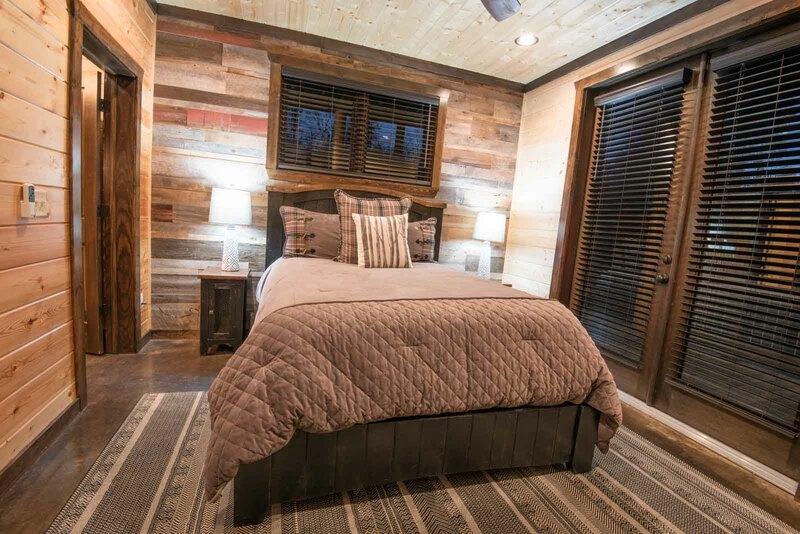 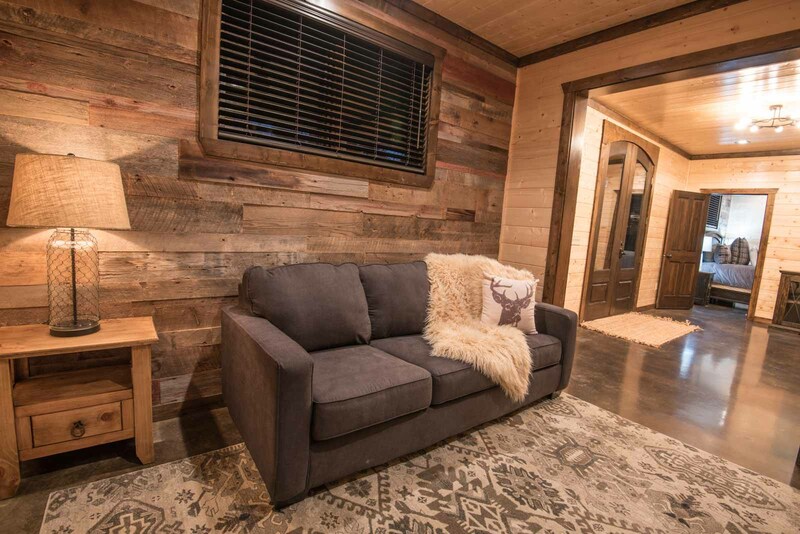 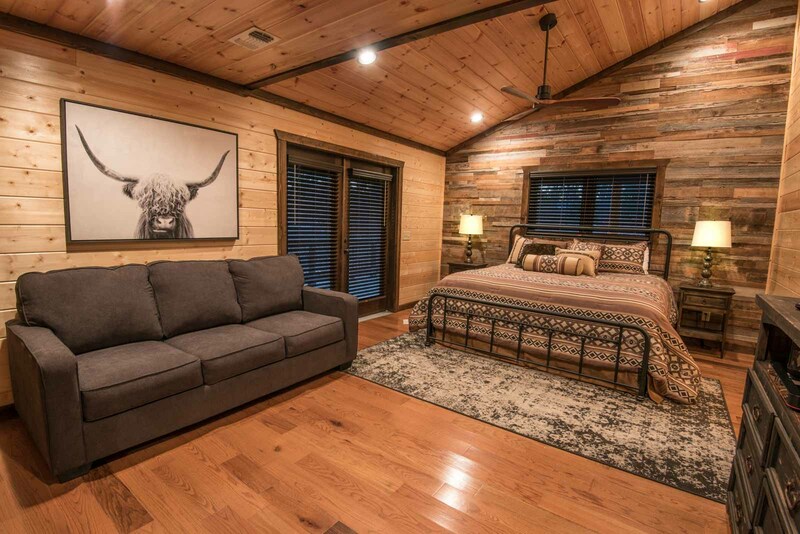 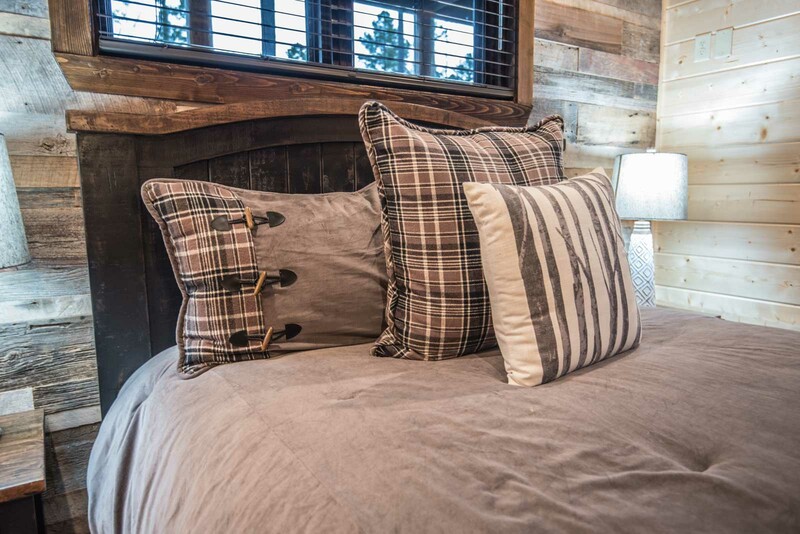 To complete your luxurious escape from the norm, the cabin also offers an outdoor foosball table and ping pong table, loft area with a pool table, WiFi, satellite television in all spaces, washer & dryer, full high-end kitchen with dishwasher, indoor gas fireplace, outdoor wood fireplace and gas fireplace, fire pit, propane grill, and is pet friendly. 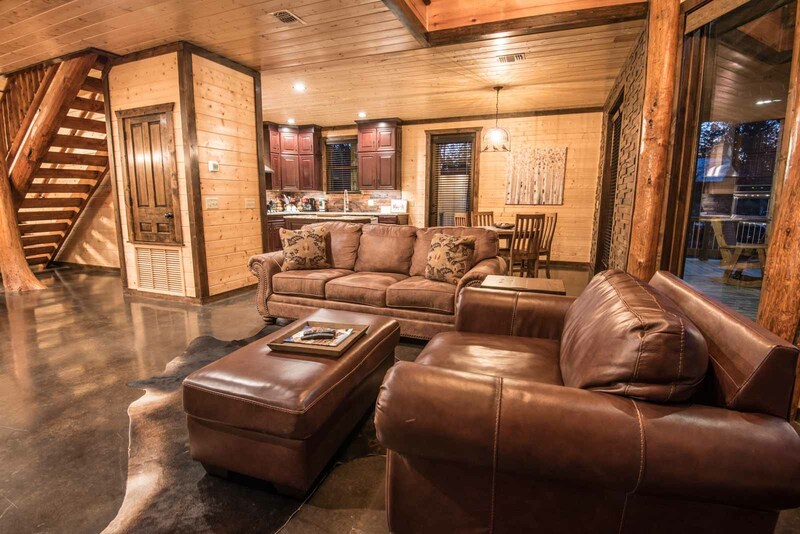 So bring your friends and family, there is plenty of space to share and breath deep!